Experience five star luxury on the east coast of Mauritius at the Residence Mauritius. 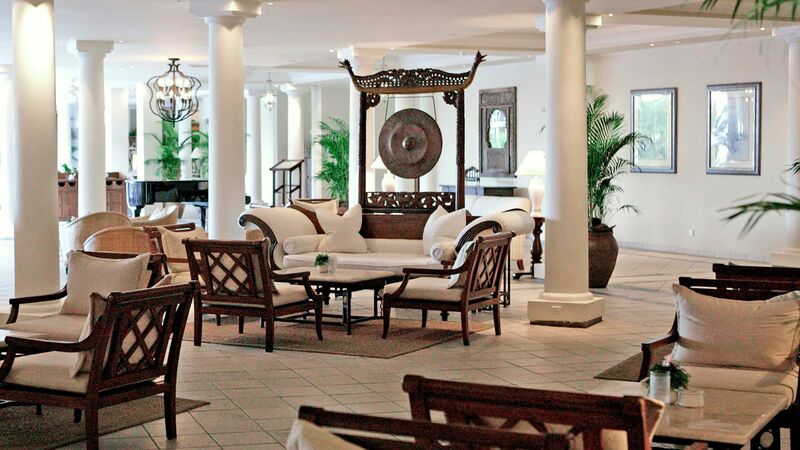 Set near the sleepy village of Belle Mare, the hotel blends classic colonial design with contemporary elegance. Stay in plantation style houses with optional butler service, complete with views of tropical gardens or the mile long beach. The resort boasts a lagoon style pool and a spa specialising in Asian treatments. While adults indulge in some pampering, children can have fun at The Planters Kids’ Club. 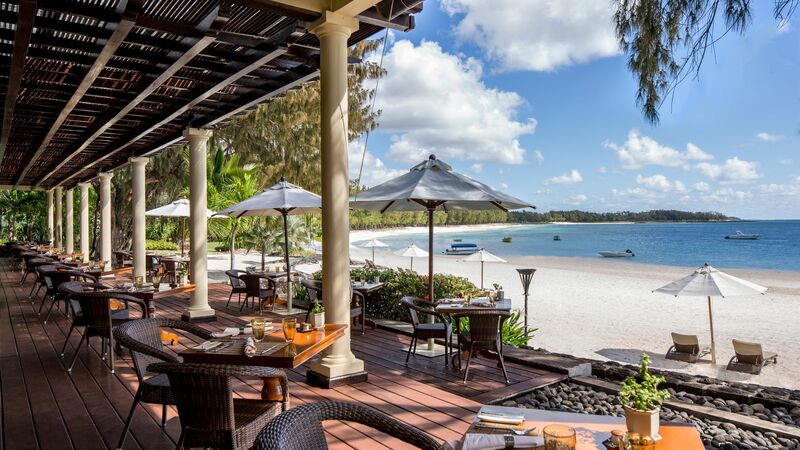 Dine at one of three restaurants serving a range of international and traditional Mauritian cuisine. 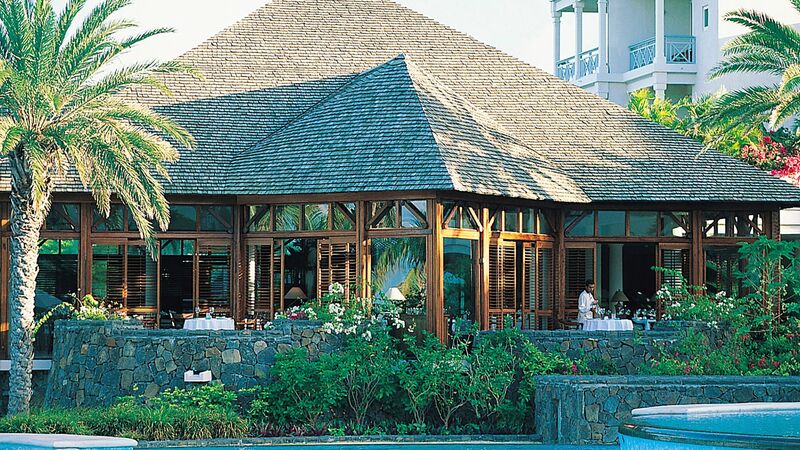 Try The Plantation, which serves fresh seafood and offers wonderful beach views. Activities include ziplining, beach volleyball and tennis, or you could head to the beach for water sports such as snorkelling in the lagoon or water skiing. Breakfast is served 07:30-10:30 at The Dining Room. Lunch you have the choice between The Plantation or a selected menu at The Verandah. Dinner you have the choice between a set menu of the day or the buffet at The Plantation or The Dining room. If you do not wish to have the set menu or the buffet you can receive a credit towards the a la carte menu of £35 per adult and £17 per child. A large selection of soft drinks, spirits, wines, beers and cocktails are served from 11:00-23:00 in all bars. Set by the beach in an authentic planter’s house, this restaurant has a delicious seafood menu featuring Creole cuisine. Come to The Plantation to sample local flavours and entertainment several times a week, such as Sega dance performances. All Inclusive and Half Board guests can dine at The Plantation. There’s a smart casual dress code for dinner, with no shorts, sleeveless shirts, t-shirts, sandals or flip flops allowed. The Verandah is ideal for a laid back lunch, offering a variety of snacks including pizzas, sandwiches, salads and ice cream. Dine in a relaxed setting by the pool overlooking the ocean. The restaurant is available for All Inclusive and Half Board guests. The Dining Room serves a diverse breakfast menu with western and local specialities, as well as fresh juices. In the evening, there’s a buffet combining international and Mauritian cuisine or a set menu. The restaurant overlooks the pool. Guests on All Inclusive and Half Board stays can eat at The Dining Room. There’s a smart casual dress code, with no sleeveless shirts, shorts, t-shirts, sandals or flip flops allowed. This comfortable bar is the place to come for some daytime or evening drinks. Enjoy a spot of afternoon tea or some evening cocktails. The menu boasts a range of Mauritian rums, as well as beers and wines accompanied by live music. The whole family will love the large central swimming pool, which has a lagoon-style design. Surrounded by sun loungers and lush gardens, it’s the perfect place to relax, play and soak up the sun. 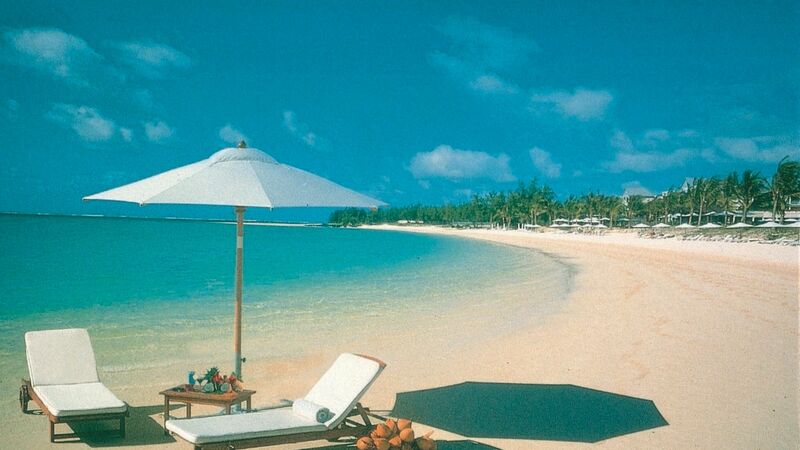 Belle Mare beach is the longest and one of the most beautiful beaches in Mauritius. Sunbathe on the soft sand or wade into the sheltered lagoon which has calm, child friendly waters. There’s a selection of water sports to try and you can spend hours snorkelling to discover a world of colourful marine life on the reef. Children will love spending time at the Kids’ Club, which is set on the beach in a building inspired by a sugarcane plantation house. Qualified childcare professionals run a variety of activities, including cooking classes, pony rides, treasure hunts and snorkelling. Buffet lunches and dinners are available, as well as a children’s spa and salon treatments including hair braiding. The Residence Mauritius has an elegant spa set in serene gardens with sauna, Jacuzzi and steam room. There are eight treatment rooms where you can enjoy customised massages, facials and body scrubs. Try the signature massage, which uses Japanese Reiki techniques or a sculpting gold perfection facial. Beauty and hair care products are designed by the luxurious French brand CARITA. Stay in shape at the onsite fitness centre, which features a variety of equipment. Guests can receive fitness coaching from industry expert Stephan Manique and there’s free circuit training between 08:00 and 09:00. 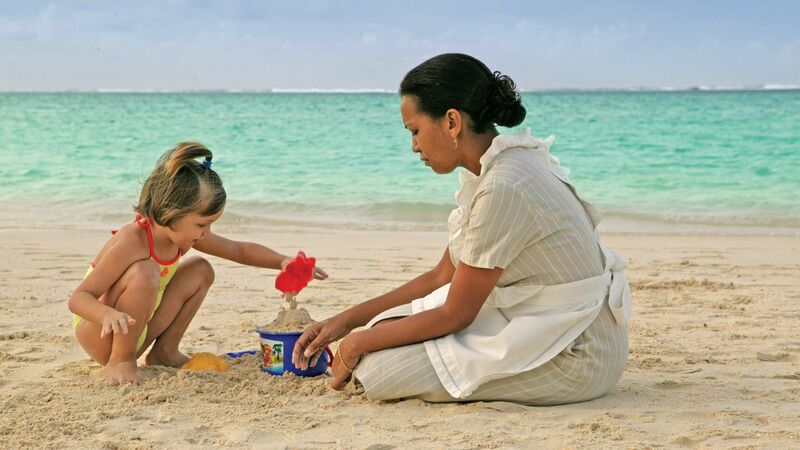 The whole family will love the range of activities available at The Residence Mauritius. 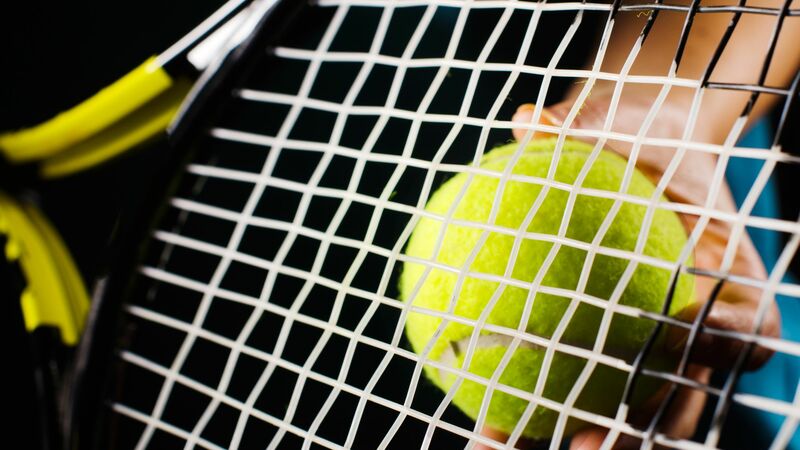 Take part in some beach volleyball, try some ziplining or have a game of tennis on one of three floodlit courts. 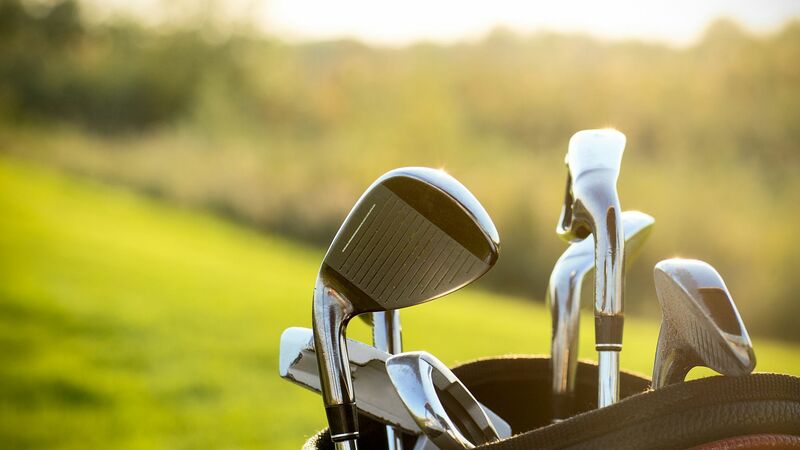 Golfers can head to the 18 hole Anihita championship golf course, with complimentary green fees for every seven night stay. Head to the beach for water sports, which include glass bottom boat rides and snorkelling. There’s a boutique and gift shop, business centre and DVD library, as well as live music in the bars. 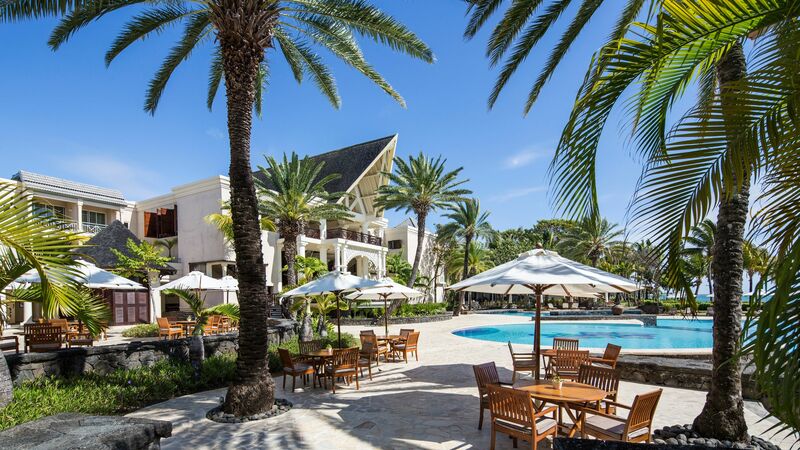 The Residence Mauritius is set on the pristine white sands of Belle Mare beach, which is one of the longest and most beautiful beaches on the island. It’s home to a lagoon which is sheltered by the exotic coral reefs just off the shore, making it perfect for little ones wanting to paddle, as well as adventurers wanting to explore underwater with scuba diving and snorkelling trips. Nearby you’ll find pretty Belle Mare where you can attend the thriving market on Wednesdays and Sundays, as well as an 18 hole golf course. Alternatively, experience some local cuisine in one of the nearby restaurants. 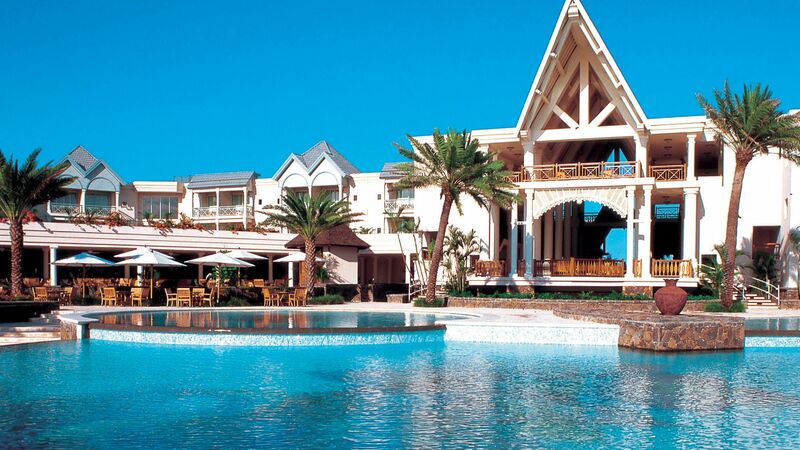 The Residence Mauritius is a 50 minute drive from Mauritius Airport. Colonial Garden View Rooms feature a king-size or two twin beds, a living area and a marble bathroom with bathtub and separate shower. The furnished balcony boasts view of the tropical gardens. Butler service, iPod docking station and mosquito nets are available on request. Colonial Garden View Junior Suites offer comfort and elegant surroundings. Guests can enjoy the garden views from the balcony or terrace. Suites feature a king-size or two twin beds, a living area and a marble bathroom with bathtub and separate shower. Butler service, iPod docking station and mosquito nets are available on request. Colonial Ocean Front Rooms feature a king-size or two twin beds, a living area and a marble bathroom with bathtub and separate shower. The furnished balcony boasts views of the ocean. Butler service, iPod docking station and mosquito nets are available on request. Colonial Ocean View Rooms feature a king-size or two twin beds, a living area and a marble bathroom with bathtub and separate shower. The furnished balcony boasts partial views of the ocean over the tropical gardens. Butler service, iPod docking station and mosquito nets are available on request. Colonial Garden View Senior Suites feature feature a king-size or two twin beds, a living area and a marble bathroom with bathtub and separate shower. Rooms offer a furnished private terrace with table, chairs, sun loungers and garden views. Butler service, iPod docking station and mosquito nets are available on request. Colonial Ocean Front Suites are perfect for couples, the spacious suites offer a king-size four poster bed as well as a large furnished terrace with ocean views. An added luxury includes an espresso machine. Butler service, iPod docking station and mosquito nets are available on request. Colonial Ocean View Suites are perfect for couples, the spacious suites offer a king-size four poster bed as well as a large furnished terrace with sunbeds. An added luxury includes an espresso machine. Butler service, iPod docking station and mosquito nets are available on request. Save up to 20% on the hotel price when booked at least 60 days in advance for holidays between 01 May - 31 August 2019. Save up to 10% on the hotel price when booked at least 90 days in advance for holidays between 07 January - 30 April 2019 or 01 September - 21 December 2019. Book a Colonial Garden View, Ocean View or Ocean Front room for 7 nights or more and receive one complimentary green fee per room per stay at the 18-hole Ernie Els-designed Anahita championship gold course. Book 7 nights or more in a Suite and receive three complimentary green fees per room per stay at the 18-hole Ernie Els-designed Anahita championship golf course. (Transfers to the golf course are not included, please contact our Trusted Advisers for more information). Stay between 6-13 nights and receive a 25% discount on the hotel price. Stay 14 nights or longer and receive a 30% discount on the hotel price. The above offers are available for holidays until 21 December 2019. We were lucky to spend 12 days at The Residence with our children (aged 16 and 19). It is one of the best hotels we have ever stayed at. With enough money, it can?? ?t be that hard to build a hotel with 5* facilities in a great location. What money can?? ?t buy though and what The Residence has in abundance. is fantastic service. The staff, without exception, were delightful - friendly, helpful, knowing our names and, within a few days. knowing what we liked. This included some lovely extra touches - at our final evening meal at the Plantation restaurant there was a beautiful floral table display waiting for us. After a couple of evenings our butler knew we liked to have a gin and tonic in the room before we headed down for dinner and so would call us asking when we would like some ice - not the other way around. At some hotels, this level of service would only be for the big spending guests: we did have two rooms but were not buying lots of pricey extras. Hats off to the management and the fantastic team they have built - The Residence is a class act. We had a wonderful time at the Residence. I actually won 3 nights at the hotel, and we were treated wonderfully. We arrived at the door after a long flight, and were checked in to our beautiful room which overlooked the ocean and the garden. The room was very spacious and comfortable and they already had a child's bed set up for our 4 year old. There was a personal butler in the morning and then another butler who checked in every night with a sweet calling card with a personalised quote. They just make sure that all your needs are met. During the day our 4 year old loved the kids club and played there for most of the day (it was hard to take him away!) which meant that we could relax by the beautiful beach or pool. The club is open all day from 9am till 10pm so it's a real bonus when you need some me time. Dinners were brilliant. Each evening the staff remembered where we sat each time ( which we thought was the best view overlooking the pool) and the buffets changed their theme each night- one night it was Indian, next night French. The quality of the food was outstanding and diverse. The last night we ate at the Plantation restaurant which was Ala carte and positioned in a beautiful setting in a colonial style building overlooking the ocean. The food was fresh and delicious and the staff attentive and friendly. The beach was not overcrowded and we always got a beach chair. The water was crystal clear and turquoise. We travelled all around the island and believe this beach to be one of the best in Mauritius. We had a car so we could go to the nearby restaurants for lunch, as our package was half board. We also made avail of the free activities. We booked the snorkelling and clear boat trip in the morning which was booked out, but no one else turned up so we got a private tour. We saw so many fish and coral. We also used the paddle boat and there are water skis and kayaking too if you wish. Overall it was a fantastic holiday and I cannot really fault it. It's a place to truly recover from the stresses of life/work, which I really needed. I disconnected my phone for the whole time and read several books. The hotel gives you a phone to use if you want stocked with hundreds of magazines and newspapers from around the world, so I got to read a newspaper from Australia which I haven't read for years as I live overseas. If you're after a party resort then this isn't the place to be, it's more of a chilled out sanctuary for families and loved up honeymooners, which suited me perfectly. Thank you the Residence!!! We were so excited to return to The Residence for the seventh time, after a five year break (not by choice!). On arrival, it was clear that our favourite place in the world had not changed - the staff were incredibly warm, welcoming and professional. On entering the restaurant for lunch, we were thrilled to be greeted by familiar faces who recognized us after all this time. Rooben and his team have been outstanding and nothing is too much trouble for them. Our ocean-front room was beautiful and immaculately clean and our butler made light of unpacking our suitcases. Such a spoil! The food and service in the main restaurant has been excellent and we have loved the buffets and relaxed after-dinner entertainment by the bar. However, The Plantation, with its amazing beach view and wonderful team led by Radhoa and Sangeeta has really been a memory-maker for us! They really have been so kind and have made every meal that we have had there so special. The Mauritian specialities have been especially delicious and our daughter (not a seafood lover) just adored the lamb chops. The pool area is stunning and overlooks the fabulous beach and crystal waters of the Indian Ocean. There?? ?s no better way to spend the day than alternating between the sun lounger, pool and sea - tough choices indeed. Thank you all for a wonderful time - we will be back again as soon as we can and are so grateful that our special place is still as awesome as it has always been! Fantastic service which is warm, welcoming and friendly. In particular, the housekeeping and restaurant staff are exceptionally helpful. The hotel is beautifully decorated in the colonial style. Rooms are spacious, exceptionally clean and with all modern fittings. The bathrooms in particular are fantastic; really spacious, modern walk-in shower, marble and wooden decor including a walk-in closet. The beach is beautiful, it truly looks like paradise; clear blue water, pale yellow sand and palm trees. The beach staff serve complementary mineral water to your lounger. The water sports are varied and all included. The hotel has two fantastic restaurants, our favourite was the larger buffet-style restaurant (unusually for us, normally we prefer a smaller, more 'boutique' restaurant) simply because the food was outstanding. The breakfasts had the most fantastic selection of home produced food (including exotic jams such as pineapple, guava and banana marmalade) catering to all pallets (from continental breakfasts to European cooked breakfasts, to asian breakfasts - try the home cooked puri - simply delicious!). The evening meals were just as exceptional. The hotel is so magical that the only thing you might be disappointed with, is that you didn't leave it to explore the island! Although if you want to, the hotel staff will arrange that for you too! I had the chance to surprise my fiancee for her birthday at a great five star hotel. As from the check in it was very nice the staff very polite and very helpful our room was not ready but we start enjoying the pool with a seafood pizza and coconut water then enjoyed the water ski activities great moment it was the first time for my fiancee. Then we were inform that room is ready. The cleanliness of the room was perfect our valet was very kind in all our demands. We had dinner at the main restaurant then we had a lot of memories in the rooms which was really conformable mainly the bed. The next at the breakfast my fiancee was offered a complimentary birthday cake. We had a great moment at the Spa also which was perfect relaxation we would to thank all the staff who wish happy birthday to my fiancee. Specially the Spa Manager who gave her some gifts. We were able to keep our room till departure. We will defenitely recommend this to anyone and we will be back very soon. Thanks to all the staff. You have a great hotel. Keep it up.